"Metal valves aren't necessary." Ok noted. I won't bother then, thanks. "Another option to look at is Costco, ... "
Yes, I've seen good reports about them too including they are careful when fitting, if asked nicely! I think you have to pay a membership fee, but that could still be cost effective I know. Our nearest one is about 40 miles away but I'll still contact them for prices. I thought the recommended size for 19s was a 235?? Or is that Pretorias on an R?? Yes, 235s are for Pretorias as they are a wider wheel. Prices seem to be around £75 per tyre, which seems too good to be true? aaargh! can someone please let me know how we attach photo images to our posts? “Attachments and other options” does not seem to be working on my iPhone. To post an image you need to use a hosting site. Various out there, I use postimg.cc, upload your image choosing not to alter the image size and paste the "hotlink for forums" code into your post. I'll give it a go tomorrow. Not really worth the wait I know but I thought it might be of interest. My image is nowhere near as good as yours. 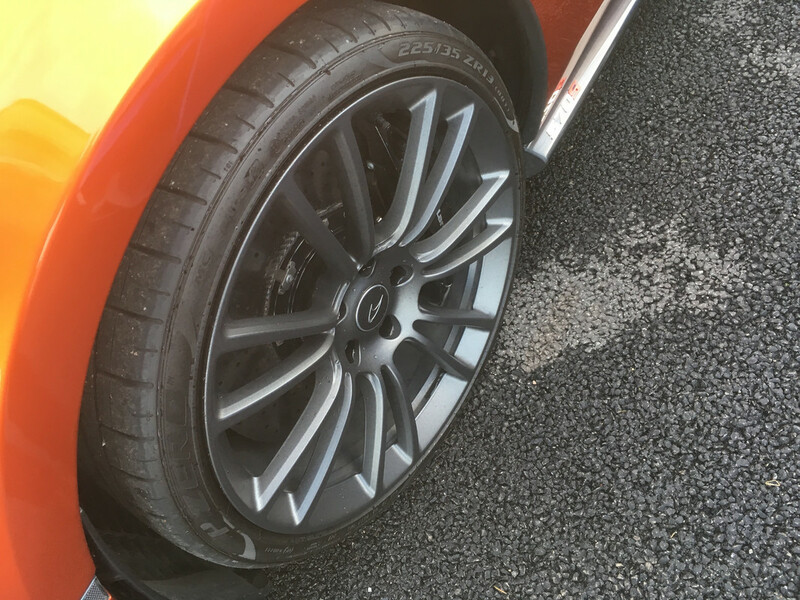 I’m not impressed by the fit of the tyre on the McLaren rim. BTW what do you and the others think of those MAXXIS tyres? Worth trying at half the price of Michelins? I don't know anything about the Maxxis tyres, sorry, look for some owner reviews to get a better idea of their performance otherwise you'll just have to make your own mind up. I would say again though that the Michelins are really good, virtually eliminated tramping, had some a few days ago but I was giving it a hard prod on the right pedal and it was wet at 2C so to be expected! Watts, "... but the tyres do seem to offer more protection... " That's music to my ears, thanks. "I don't know anything about the Maxxis tyres, ... " Not a problem. It's hard to imagine they will be better than MPS4Ss isn't it? £76 is just too good to be true. I'll stick with MPS4Ss, I plan to have them fitted next month.